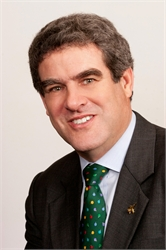 Law Business Research tapped Andre R. Jaglom, Tannenbaum Helpern’s distribution and franchise attorney with over three decades of experience, as contributing editor in developing and editing the first edition of Getting the Deal Through – Distribution & Agency 2015, covering the global distribution of goods and services in 17 jurisdictions. To bring goods and products to the global market effectively, companies need to focus on their business objectives, know their tolerance for risk and understand each target country’s culture, industry landscape and legal and regulatory environment. Global distribution of goods and services is legally complex and depends greatly on the interrelationships among manufacturers, suppliers, distributors and commercial agents around the world. The movement of goods and services is governed by contracts negotiated by the parties involved and the country’s legal and regulatory environment where the goods and services are to be marketed. Law Business Research tapped Andre R. Jaglom, Tannenbaum Helpern’s distribution and franchise attorney with over three decades of experience, as contributing editor in developing and editing the volume as well as writing the global overview and the United States chapter of the book for its first edition of Getting the Deal Through – Distribution & Agency 2015. The volume covers key questions that businesses and their lawyers should ask when bringing goods and services to markets outside their home country. Jaglom also noted that businesses and distribution attorneys need to be aware that even within a jurisdiction, different industries have different customs and practices that have a practical effect on how distribution relationships are structured. For example, in the US, beer distributors share detailed data on their sales with their suppliers, while soft drink bottlers and distributors zealously guard their customer sales data. Getting the Deal Though titles are published annually in a unique Q&A format covering the same key questions answered by leading practitioners in each jurisdiction featured. Getting the Deal Through provides international expert analysis in key areas of law, practice and regulation for corporate counsel, cross-border legal practitioners and company directors and officers. Getting the Deal Through – Distribution & Agency 2015 features the following jurisdictions: Austria, Brazil, China, Croatia, Cyprus, Denmark, Dominican Republic, Finland, France, Germany, India, Italy, Netherlands, Puerto Rico, Spain, the United Kingdom and the United States. Tannenbaum Helpern’s Franchising, Distribution and E-Commerce practice offers creative solutions to all types of distribution issues. We offer decades of experience in the global distribution of goods and services, including franchised systems, non-franchise distribution networks, licensing and e-commerce. Our clients do business in a wide variety of industries, from alcoholic beverages and soft drinks to pinball machines, from fragrances to computer software, and from restaurants to staffing services. Tannenbaum Helpern attorneys strive to understand the business objectives, industry structure, and management culture of each client before offering practical advice in an area as central to the business mission as distribution and marketing.